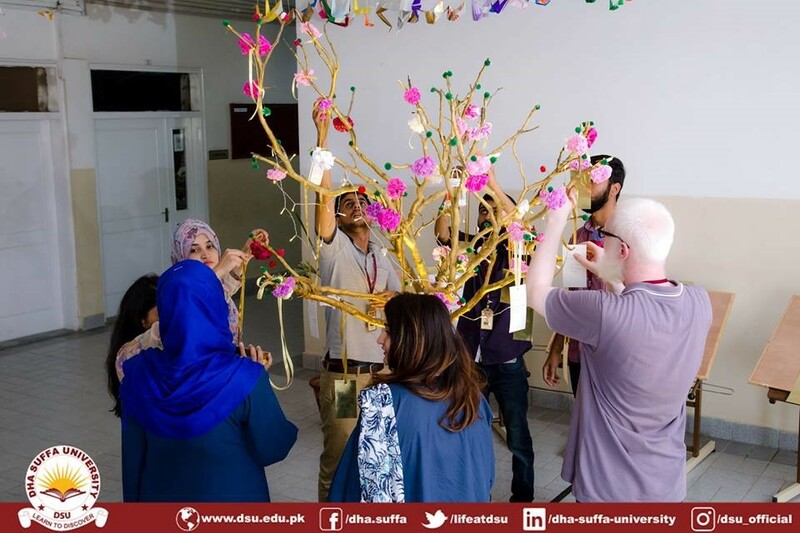 Students of the Management Sciences Department in collaboration with the CSR department initiated the DSU Community Academy in fall 2017. 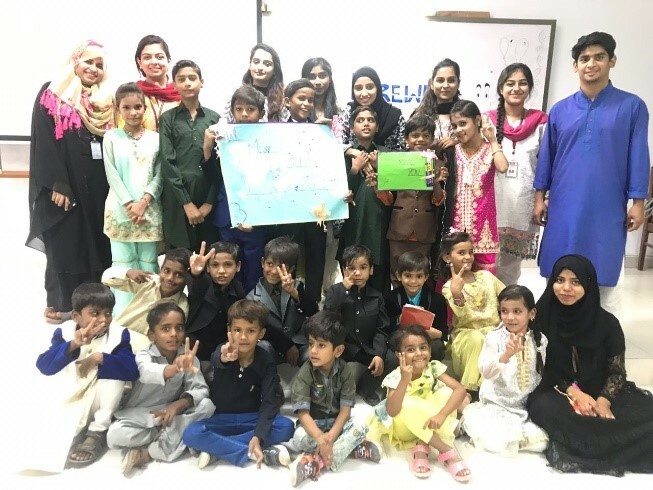 This program was a literacy elevation initiative aimed at enhancing basic English and Mathematics skills of underprivileged primary school children from the neighboring slums of DHA Karachi at the DHA Suffa University premises. The DSU community academy is run by student volunteers under the supervisor of DSU faculty volunteers and is fully funded by the university. 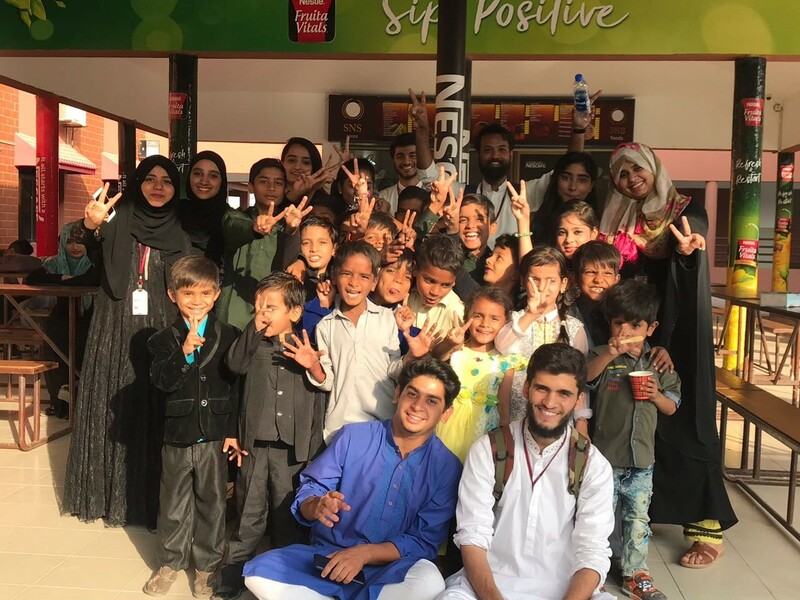 This education initiative will continue as a regular activity at DSU. The DSU community academy continued in Fall 2018 and was run by 15 volunteers from BBA 1, 2, and 3. The academy started on the 27th September will volunteer in the program will get a total of 18 community service hours. The volunteers were spilt in three groups and each group conducted a two hours session each week. The DSU academy focused on the core subjects of English and Mathematics and also aimed at inculcating an understanding of basic etiquettes among the children. Till date 25 children from the neighboring slum of Qayyumabad have been inducted into the DSU community academy. This program will be continued in the following semester.